Celebrations and festivals are integral to our richly diverse country. Ivan Satyvrata explores traditional Christian motifs and deciphers their meaning for our times, still keeping Jesus at the centre. Visitors to India never cease to be amazed at the number of holidays marking the various festivals celebrated in India. In our multicultural society, all festivals are celebrated with zest and enthusiasm – people of all communities join in the celebrations regardless of their religious affiliation. Christmas is thus today one among the many festivals of India, celebrated in some way or other by people of all faiths. This fact and its increasing commercialisation here as in the West, has caused some sincere believers to question whether its celebration actually harms or aids the Christian witness in India. “The exaltation of Santa Claus, the Christmas tree, tinsel, holly & mistletoe, fun, merriment, drunkenness and carousing… Where is Jesus in all this?” the skeptics ask. The high rates of drunk-driving, accidents and crime in general would seem to justify the perception among some that the celebration of Christmas is just a waste of time for a genuine Christ-follower. But the punch line is this: “In any case nobody knows when Christ was born, and there is nothing in the Bible which tells us when to celebrate Christmas.” This is by no means an eccentric view – different groups through church history including the 17th century Puritans, Quakers and some present day Brethren and Pentecostals, among others, have discarded the observance of Christmas. At the end of the day Christmas is a celebration of the central constituting fact of the Christian faith – the Incarnation. It is, of course, impossible to fix with certainty December 25 as the birth date of Jesus. The most widespread theory is that the date was a spin-off from a pagan festival to the Sun-god, which early Christians deliberately chose to encourage the spread of Christianity through the pagan Roman world. This belief is largely based on the fact that some of the modern trappings of Christmas, such as the Christmas tree, can be seen to have their roots in medieval pagan customs. Despite its popularity, however, careful historical research has debunked this theory as really a myth without substance. Rather the choice of December 25th is the result of attempts among the earliest Christians [2nd-3rd century] to determine the historical date of Jesus’ birth based on chronological calculations that had nothing to do with pagan festivals. While December 25th is unlikely to have been the actual date of Christ’s birth, it is in no way the result of pagan influences upon the practice of the Church. In the final analysis, the actual date of Jesus’ birth is neither here nor there. At the end of the day Christmas is a celebration of the central constituting fact of the Christian faith – the Incarnation. Our faith rests on the mind-boggling claim that in Jesus of Nazareth God himself came down to earth and dwelt among us. This Jesus of Nazareth is a figure of history who was born, lived, died, came back to life and ascended to heaven two thousand years ago. Celebrating His birth on a day in the year based on 2nd-3rd century Christian tradition provides a great opportunity to assert Jesus’ historical uniqueness in a context where the historicity of many religious figures has yet to be credibly substantiated. 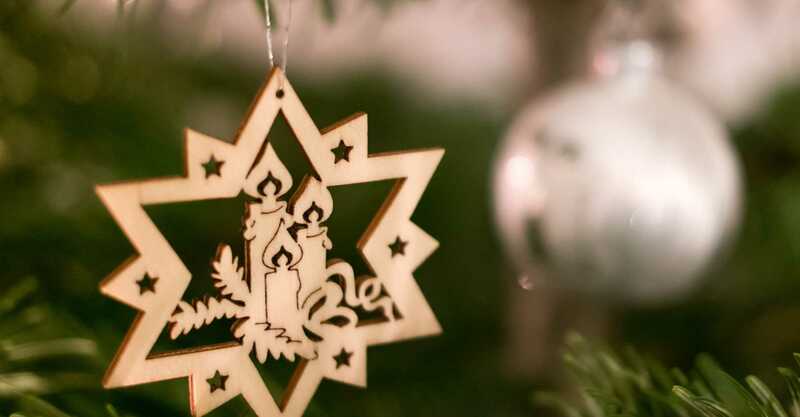 The festive atmosphere during the Christmas season is a time when neighbours of other faiths are most open to hearing the story of Christ and His love. We do our neighbours a huge injustice if we bypass the opportunity that this time of year provides to share the good news of God’s love revealed in Christ with them. The key question then is: “What can Christ-followers do to make our Christmas celebrations more meaningful in a country like India?” Due to India’s beautifully diverse cultural landscape, celebrations of Christmas are as richly varied as the colours of India’s social kaleidoscope. 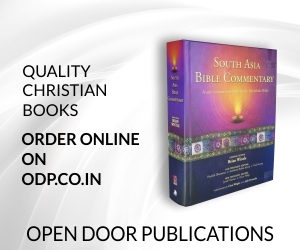 Due to the vast diversity of both ethnic cultures as well as Christian traditions in India, specific customs and practices are bound to differ from one region to the next. With such a diverse heritage we all share from, here are some ways in which Christmas celebrations can be directed meaningfully and applied creatively across the vast and varied cultural matrix of India. In the true spirit of Christmas we will use five common traditional Christmas motifs as hooks to hang five key guidelines. Perhaps next to only Diwali, Christmas is a festival of lights. Not just churches, local stores, markets, malls, homes and even some streets are lit up with multicoloured, twinkling and all other kinds of lights. While candles have been closely associated with Christmas in Christian tradition as milestones denoting the four weeks of Advent and continue to be used especially in church services, Christians in South India often use clay lamps instead to depict the “light” of Christmas. Light is an important image in Scripture, denoting both the presence of God who lives in “unapproachable light” (1 Tim. 6:16) and Jesus the “Light of the world” (John 8:12). Jesus made a straightforward application to His followers in the Sermon on the Mount when He said to them: “You are the light of the world” (Matt. 5:14). This is especially relevant to Christians during the Christmas season, when the eyes of those outside are turned towards those who bear the name of Christ. The first important rule for a Christmas celebration to be meaningful is to make sure we have a lifestyle that radiates the light of Jesus. For this to work, our commitment to making Christmas celebration meaningful cannot begin on Christmas Eve, or even on the week before Christmas – it must be grounded in our life-witness as Christ-followers 24×7, 365 days of the year. So if we are ruthless bosses, lazy employees, obnoxious neighbours, rude and uncaring people, it doesn’t make sense if we suddenly put on a show of goodness during Christmas time. If Christmas is about peace and goodwill, generosity and giving, joy and blessing, these virtues should mark the lifestyle of believers all through the year. When those we rub shoulders with daily, see us radiating honesty, integrity, courtesy, love, joy and compassionate care, we then earn credibility and a listening ear when it’s time to share the message of Christmas. Putting up the Christmas tree is a practice that goes back to 4th century Europe. While ideally, the Christmas tree must be a fir tree, Christmas trees in India range from artificial look-alike trees to banana, mango or whatever tree people can find as substitute to decorate. Apart from its decorative function, the Christmas tree also serves another purpose: gifts are hung on it or placed under it. The distinctive of every Christmas (fir) tree is that it usually tapers at the top and points towards the heavens. The symbolism is unmistakable: the tree bears the gifts and the tree points towards God the source of every good and perfect gift. If we want Christmas to be meaningful it must be a time of generous giving and serving. Due to India’s beautifully diverse cultural landscape, celebrations of Christmas are as richly varied as the colours of India’s social kaleidoscope. During the Christmas season, families tend to splurge a lot on themselves, of course – on food, clothes, throwing parties for friends and family, sprucing up their homes and perhaps investing in new furniture and appliances. Children excitedly wait for “Santa” (the smart ones know it’s their parents) to bring them their gifts, some churches and Sunday Schools distribute gifts, gifts are exchanged between family members and friends, and so on. But it is no coincidence that Christmas is a season when churches and individuals think about the poor and needy and tend to do more for them than they do all year round. While we wish people would be concerned about the poor and needy all year round, Christmas is a good time to stop and look at the needs of those who are less fortunate than us and do something about it. In addition to exchanging gifts among our own family and friends why not look at giving generously to those who may never be able to return the favour. Try to think of the impact across the nation if every family which claims to know and love Jesus were to surprise just one really poor family at Christmas with a lavish blessing. For instance, paying for one month’s supply of groceries, one year’s school fees for a child, buying the whole family a set of new clothes, or getting them a new stove. Christmas is a time when choice food is in abundance – delicious cakes, savouries, curries, chocolates and sweets of all kinds. We make them, buy them, serve them to guests, share them with neighbours. A meaningful Christmas involves extending gracious and warm hospitality. Hospitality is an essential virtue and the mark of every true Christ-follower (Rom 12:13). Although some have a greater capacity and are especially endowed with the gift of hospitality, every believer’s home must exude the warmth of welcome, especially during the Christmas season. In the midst of all the busy-ness of preparation for Christmas, let’s make time to invite friends and neighbours, planned and unplanned. Festival seasons can be very lonely times for those who are single. Let’s pay special attention to those who may be far away from their families or with no families at all. The ringing of bells denotes a joyful announcement of good news. It’s no wonder then that bells have traditionally been associated with Christmas for a long time. Christmas is about the greatest news that has ever been announced – A divine Saviour is born…God has arrived on planet earth – Ring the bells, ring the bells, let the whole know – Christ was born in Bethlehem many years ago. A meaningful Christmas is about bearing witness – sharing the story of Jesus with others. This is perhaps the most exciting aspect of Christmas – it provides us abundant opportunity to share the good news of Jesus. Some churches send teams of carol singers to visit all their church members. Neighbours of other faiths often like to hear these carols and invite carol singers into their homes, thus providing occasions to read a few verses of Scripture followed by a short message and prayer. Other churches have special carol services and Christmas programmes at which the story of Christmas is re-told. If we want Christmas to be meaningful it must be a time of generous giving and serving. Churches that have home cells or house churches can have special Christmas parties to which neighbours are invited. In addition to carol singing, games and refreshments, a brief message and/ or testimony may be shared. People not normally open to attending a church service will freely attend such events. The Christmas Day service(s) can be a wonderful occasion to bear witness. Plan a seeker-friendly service, print invitations and encourage members to invite friends to church and then to a special Christmas lunch. We have seen many come to Christ through such events. Everywhere you look during the Christmas season you see stars. The star is an essential Christmas motif and can be found outside most Christian homes, on many streets, shops and prominent in nativity scenes and an essential decoration at the top of every Christmas tree. The tradition of the star goes back to the biblical account of the nativity in which a star leads wise men from the East to the baby Jesus. Christmas is thus all about Jesus – he is the star of Christmas. The tragedy of Christmas is that although it may be the most lavish birthday celebration across the planet, most are celebrating without knowing the person whose birthday it is. When the wise men who followed the star found Jesus, they bowed down and worshiped Him…. They recognised that this infant-king was the king of the universe, worthy of their highest honour and worship, and they gave Him their reverent devotion and absolute submission. This then is the ultimate purpose of Christmas – that all people everywhere should hear the joyful news and bow their knees in true worship to Jesus…the Real Star of Christmas! He is the senior pastor of the Assembly of God church, Kolkata and serves as the Chairman of the Governing Board of SABC, Bangalore, Chairman of the Board of World Vision-India, chairman the Board of Bombay Teen Challenge, and the Vice Chairman of the Centre for Global Leadership Development, Bangalore.